The Abyssinian Baptist Church was the first African American Baptist congregation in the state of New York and the fourth in the nation. It was founded in 1808 by members of the First Baptist Church who took issue with the racially segregated seating arrangements maintained by the congregation. The dissenting parishioners, under the leadership of a small party of seamen from Abyssinia (present-day Ethiopia), began holding services of their own. In tribute to the seamen, the congregation called itself the Abyssinian Baptist Church. The original church stood on what is now Worth Street in the heart of the Greenwich Village community then known as Little Africa. As the bulk of New York’s African American population moved northward, so did the Abyssinian Baptist Church. Construction on the present Harlem location began in 1922 under Pastor Adam Clayton Powell Sr. (1865-1953), who was instrumental in weaving the Abyssinian Baptist Church into community life. During his ministry, a community recreation center was built adjacent to the church to give people a place to gather outside of religious services. Adam Clayton Powell Jr. (1908-1972), who became the Assistant Minister and Business Manager of the Abyssinian Baptist Church in 1930, extended the tradition of community involvement to activism. Powell started a relief program for victims of the Great Depression that predated the New Deal and led the movement to desegregate the physicians’ staff of Harlem Hospital. In 1937, Powell succeeded his father as pastor, and in 1945 was elected to the U.S. House of Representatives, where he served 14 terms. Powell was among the first African Americans from New York to hold a seat in Congress. The boulevard to the west of the Tot Lot that bears Powell’s name is one of many local tributes to the distinguished Harlem leader. 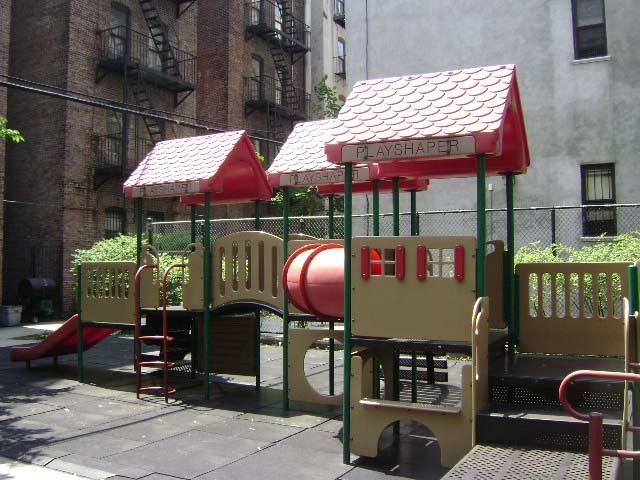 The Abyssinian Tot Lot serves as a play area for the Annie G. Newsome Headstart Program. Newsome was an active parishioner of the Abyssinian Baptist Church who taught Sunday school and helped to found the church’s education program. The Headstart Facility encourages parents to become more involved in their children’s education and provides community-based support for the participating families. The Tot Lot, bordered on the south end by the Headstart building, was previously a vacant lot into which people dumped their trash. 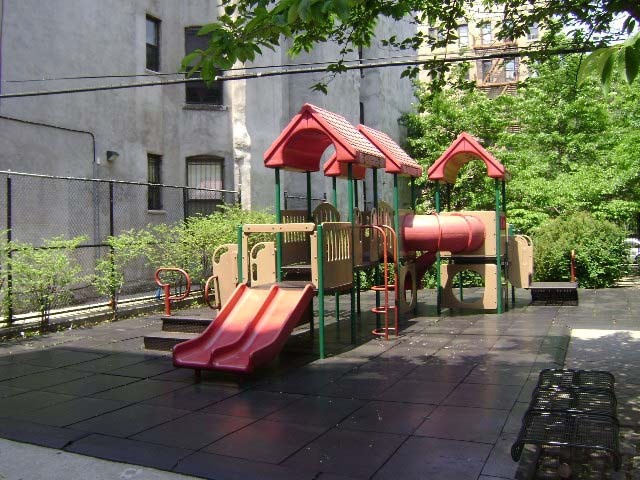 In November 1997, Parks acquired the property and turned it into a play area. The renovation created a thoroughfare connecting 138th and 139th Streets and provided a green, open area for the neighborhood.